His first, rustic teaser for his fifth studio album, showing the bearded singer clad in flannel and roaming about nature, presented an Americana vision that suggested a folksier direction for Timberlake’s new music. What followed was a whiplash-inducing sequence of two jarringly unenjoyable pop singles (Filthy and Supplies), both accompanied by videos set in an alternate tech dystopia. Then Timberlake followed with Say Something, the twangy Chris Stapleton-featuring country collaboration fans were anticipating all along. 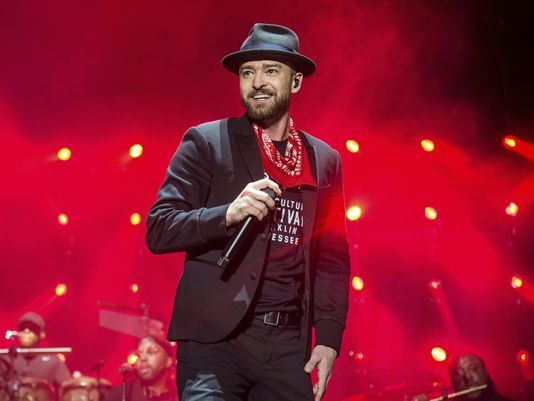 The 16 songs of Man of the Woods fall somewhere in between the fields and forests its title suggests and the slick pop of Timberlake’s past releases, the latter courtesy of two production teams the singer has relied on throughout his career, The Neptunes and Timbaland. Yet part of the anticipation surrounding Timberlake’s new Americana-inspired direction comes from the fact that Timberlake’s dapper pop schtick has, over the past decade, started feeling stale. After releasing one of the 2000s’ best pop albums, FutureSex/LoveSounds, he returned with the well-received The 20/20 Experience in 2013, and followed a few months later with the gratuitous — and gratuitously boring —sequel The 20/20 Experience – 2 of 2.